Raising livestock can be a tricky business. There are a lot of details to attend to, especially when it comes to proper nutrition. It can be tempting to simply turn creatures out into the field and let them rummage on their own, but this can be disastrous if they wind up consuming toxic plants. It may surprise you to learn how many toxic plants are out there, some wild growing weeds and some deliberately planted ornamentals. Some of these plants are capable of killing even large animals, so it’s good to learn to recognize some common threats to your livestock’s well-being, and take control measures. Bridget Carlisle, the Livestock Extension Agent for UF/ IFAS, reminds us that generally, animals will leave poisonous plants alone on their own. The real danger comes during colder months when grazable pasture can become diminished. This can result in cattle and horses consuming plants they would normally avoid. “Most of the poisonous plants they’re not going to eat,” Ms. Carlisle says, “but there are certain ones they are less careful about.” That’s why it’s important to identify potential threats and take steps to protect your animals. ➤ LANTANA. This common ornamental shrub is often planted to attract butterflies, and it spreads easily. It is often found growing along fence rows and tree lines. The whole plant is toxic and contains a toxin called lantanin. Large quantities of this plant can cause acute toxicity, while lower amounts can cause mouth sores and skin cracking. Lantana can be controlled with a tank mix of PastureGard and GrazonNext. ➤ MILKWEED. This popular butterfly plant is grown by many people. It is the preferred food of monarch butterflies. However, this plant can also present a danger to livestock, as well as to dogs. 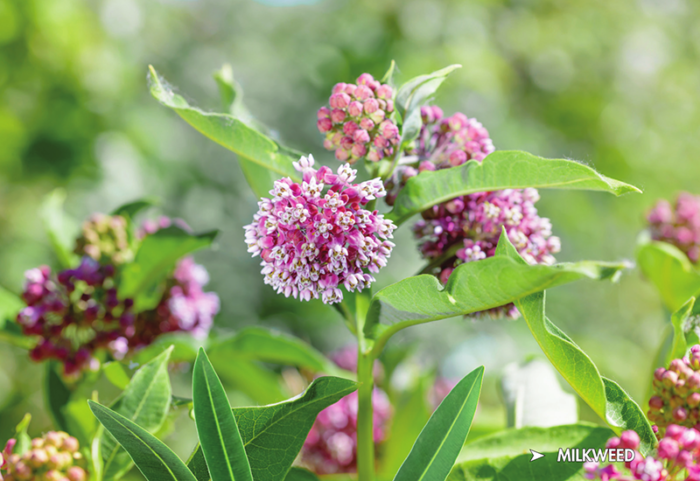 Milkweed has a milky sap, and the general rule of thumb is that if a plant has a milky sap it is most likely toxic. Best to keep this one in a carefully contained ornamental garden. ➤ SHOWY CROTALARIA. Also known as showy rattlebox, this legume was originally brought to Florida during the early twentieth century for use as a nitrogen-fixing cover crop. Unfortunately, it also contains a lot of toxic alkaloids. The entire plant is toxic, particularly the seeds. The main toxin is called monocrotaline, and the symptoms of ingestion include weakness and confusion. Jaundice may also be evident due to damage to the liver. An animal may die months after eating this plant. Glyphosate or triclopyr is probably your best option for controlling this plant. ➤ OLEANDER. “A lot of people like to plant oleander, and that’s very poisonous as well,” says Ms. Carlisle. It is an extremely toxic plant that can kill a cow with as little as 10 to 25 grams of leaves. It is an easy-care, fast-growing shrub or tree, so it is popular as a hedge plant. There are two main toxins present in oleander, oleondroside, and nerioside, both identified as glycosides. ➤ CREEPING INDIGO. The biggest problem with creeping indigo is that horses will develop a taste for it. Normally, animals tend to avoid poisonous plants. This is not the case with horses and creeping indigo. Horses will enthusiastically consume creeping indigo, which can lead to tongue ulcers and convulsions. GrazonNext is a suitable control for creeping indigo. How do you know if an animal has been poisoned? There are symptoms to be aware of, including digestive and neurological problems. Diarrhea, a loss of coordination, and aimless walking are some of the signs to watch for. “Sometimes they do a thing called ‘head pressing,’” Ms. Carlisle describes, “where they push their head against a wall or something like that.” They may also have pale membranes when you push on their gums, showing poor capillary refill. An animal may act disoriented, refuse feed, or drink more water than usual. Wasting, holding their head down, and a shaggy coat are also signs of poisoning. If you suspect that your animal has ingested something toxic, contact your veterinarian or your local extension agent for advice. You can avoid problems with toxic plants by not planting them. It is also recommended to maintain adequate pasture and prevent overgrazing so animals will have a safe food source.